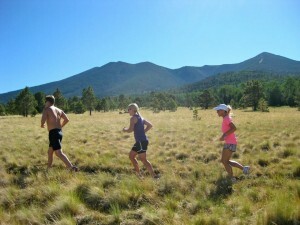 Run SMART Retreat 2012: The Week That Was | Run S.M.A.R.T. The week started off with a visit from Janet Cherobon-Bawcom, who is now off to London to compete in the 10K for Team USA at the Olympics. Kenyan-born Cherobon-Bawcom shared her incredible story of how she became “destined” to run. It all started one day when, by chance, while hitch-hiking a ride to her village, she was picked up by Peter Rono, the Kenyan 1,500m Olympian, who encouraged her to pick up the sport as a means to get a college education in the United States. Cherobon-Bawcom, now a registered nurse, did just that—and has been studying and running ever since. Jack Daniels, coach and mentor to many-an-Olympian, including Cherobon-Bawcom herself, also joined the group to share his “Ingredients to Running Success” and to perform a VO2 Max test on Coach Vince Sherry at a local lab. After watching the test being conducted live, attendees heard what the numbers mean and how knowing them can translate to improved performance. The expert advice didn’t stop there. Alicia Shay, Run SMART coach and nutrition consultant, spent a couple of hours with the retreat group to talk about the best fueling and hydration strategies for distance running. In an open Q & A-style session, Shay covered topics ranging from gluten consumption to electrolyte intake to where she finds the best new recipes. Check out our recap to learn more. Throughout the entire week, attendees started each morning with a run of their own pace and distance on some of the locals’ most favorite trails and forest service dirt roads. The crowd favorite seemed to be a toss-up between Wednesday’s run on the Arizona Trail at Aspen Corner (9,000 feet up in the San Francisco Peaks) and Friday’s run along the Rim Trail at the Grand Canyon (you can’t beat those majestic views). After action-packed days of running, learning Active Isolated Stretching routines, participating in Sarah Sherry’s Restorative Yoga class, and learning track drills, each night concluded with a group dinner at Flagstaff’s best restaurants. It was there that runners could refuel, relax, socialize, and get to know each other a little better. Was it the 80s dance parties in the van, led by Run SMART Retreat Director Michael Smith? The final night cookout at Coach Vince and Sarah’s house? The thin mountain air? Whatever it was, many Run SMART retreaters said they are making sure to repeat the experience next summer. We can’t wait to see you then! 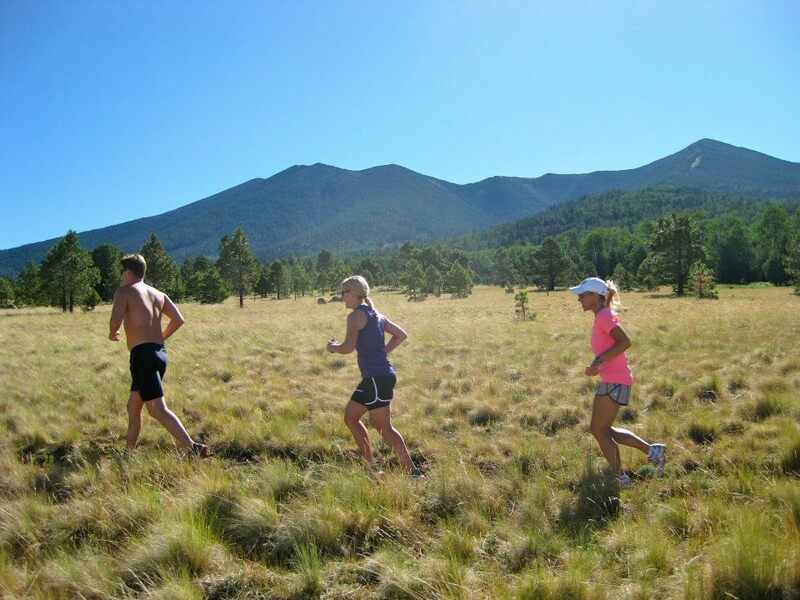 Erin Strout is a Run SMART client and Social Director of the Run SMART Retreats in Flagstaff, AZ.